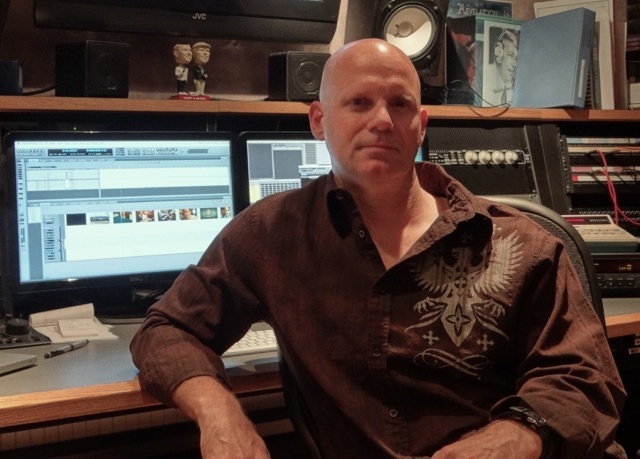 In my primary role as Principal Composer for Baker Sound Studios’ MONSTER TRACKS music division, I produce custom music for advertising, film, television, and corporate productions. I landed at Baker Sound (in Center City) immediately after graduating from the Berklee College of Music in 1987, and have since had the good fortune to work with many of Philly’s top creatives. I’m extremely grateful to (former Baker owner) Gary Moskowitz for taking me on, and for the opportunities provided by the Philadelphia ad community (particularly such early supporters as Allan Kalish, Howard Rice, Gene Shay, Peter Tilden, Tom Hemphill, Dave Blazek, and Bruce Lev). 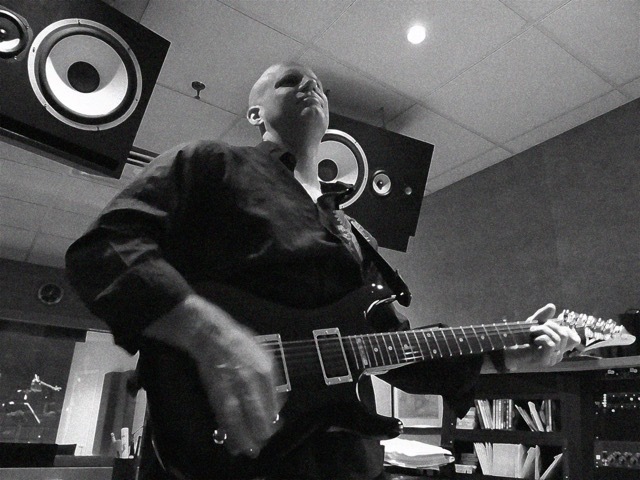 My goal has always been to provide high quality original music at an affordable price, and over the years I’ve created well known themes for many local, regional, and national advertisers and won a variety of local and national awards. 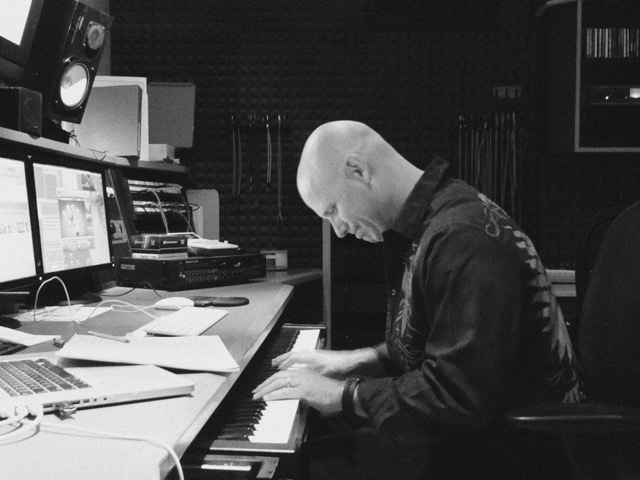 I’m also an active keyboardist and conductor, and have performed with artists including Aretha Franklin, James Darren, and Shirley Bassey. I served as President of the Philadelphia Chapter of the American Composers Forum (a non-profit that supports local composers) from 2006-2016, and I continue to teach a course in Commercial Composing that I developed for The University of the Arts in 2004. In 2009 I founded Metronome One Music Publishing to represent my catalog and that of several other local composers. I also consult for a number of music software developers and handle web design and marketing for Baker Sound and MONSTER TRACKS. My one serious interest outside of music is philosophy, and over the past few years I’ve assisted in the publication of several papers and one monograph. I live in South Jersey with my wonderful wife of 27 years, and am an avid baseball fan and moviegoer. I can be reached at 856-625-7162 or chuck@monstertracks.com. Work samples and additional info can be found at www.monstertracks.com. Awkward, introverted, smart, creative, intensely curious. Naturally I was picked on, but my mother encouraged me think for myself and not worry about what others might say. As a musician I’ve been influenced to some extent by everything I’ve ever heard. 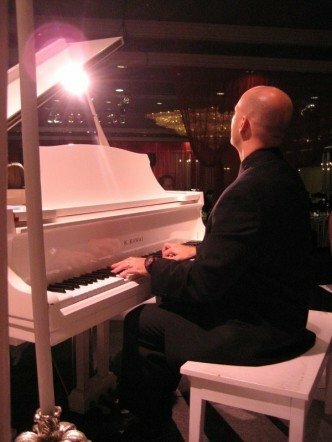 My main influences include Chopin, Puccini, Rachmaninoff, Copland, Joplin, Gershwin, Richard Rodgers, Andrew Lloyd Webber, Bennie Goodman, Dexter Gordon, Miles Davis, Chick Corea, Brian Wilson, KISS, Pink Floyd, Genesis, Peter Gabriel, Rush, Ray Charles, James Brown, Public Enemy, Squarepusher, Max Steiner, Carl Stalling, Bernard Herrmann, Jerry Goldsmith, John Williams, and James Horner. As a pianist I’m a huge fan of Fats Waller, Bud Powell, Thelonious Monk, Wynton Kelly, and Chick Corea (in jazz), and Sviatoslav Richter, Maurizio Pullini, and Evgeny Kissin (in classical). My main role model as a kid was Captain Kirk from “Star Trek.” My main influences in philosophy are Aristotle and Ayn Rand. In third grade I thought that a sick note I faked to escape detention would be more convincing if it included medication, so I taped a marshmallow to it. Practice, practice, practice. Plus great teachers, tons of critical listening, and extensive real world experience. At this time of year I’m mostly scoring political spots, but I’ve also recently completed ad work for Jeopardy!, Horizon Insurance, and Entenmann’s. I don’t have a “typical” day because I’m involved in so many different things. I do make time to practice the piano almost every morning, but beyond that on any given day I may be doing any combination of the activities mentioned in my introduction. My favorite days are when I’m just making music. My wife is my best friend and the person who enables me to spend most of my time being creative. And of course my son, our family, and our close friends. Music for sure, though I notice that this manifests very differently in me than it does in the amateur and non-musicians I know who are passionate about music. I’m also extremely passionate about philosophy and spend most of my “spare” time working in that space. I’m extremely proud of my son, who earned his degree in Biophysics at Johns Hopkins last fall and is currently pursuing a PhD in Biomedical Engineering at Binghamton University (SUNY). Career-wise, I’m proud to have achieved my goal of being a full-time professional musician, and that the work I do has created opportunities for so many musicians in the Philadelphia region. Playing with great musicians is hard to top. As long as I have clients who want custom music and value what I do, I plan to keep on doing it. We’ve recently begun making some of my tracks available through the AudioJungle music library and plan to expand our presence there. I also have some personal music projects on the back burner that I eventually hope to pursue, and there is always the possibility that my interest in philosophy will lead to additional opportunities. Stay tuned. I won’t be the one to write it, but hopefully it will say that I lived well.